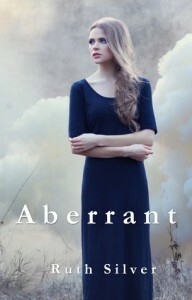 Aberrant was good, only as it felt as though it should have been longer. It had the core dystopian components, without the instant love or relationship with the added third wheel, but it left me waiting and wanting the typical anarchy, the feisty uprising and the tension, that sadly never came. It's ideal for teen young adult readers, especially those who enjoyed Ally Condie's Matched series. The reader will wonder who is the lesser of two evils. The government treats everyone equally, with individuality discouraged. They claim to base choices on what is in each citizen's best interests, who to marry, which couple are to be allowed a child through means of lottery, and their role within the community. The Alliance within Haven aren't the rebellious revolutionaries they claim to be. Forceful and unjust in punishment, implanting tracker chips on those who don't comply, and incarceration for those who dare to ask questions. They also take away Olivia's basic human rights, but Haven was too fleeting to allow for the development of it's residents and characters, one being Joshua's mother. She seemed too pivotal to be skimmed over. I loved the twist that the Shadow settlement provided, late within the Alliance training. I would have loved to have seen Haven eradicated altogether, with Olivia and Joshua having found the town through other means, perhaps back in Genesis. I really enjoyed the overall concept and storyline, but it felt as though it was hurriedly streaming towards nothing in particular. If it had been drawn out, allowing for character development, more exploration of the actual role of the Rebel Alliance without blurring the lines between different Rebel camps and making them one entire organisation, no doubt I would have given Aberrant a far higher rating.